Home > News > School Bans Designer Coats: Poverty Shaming or Affluent Antagonising? 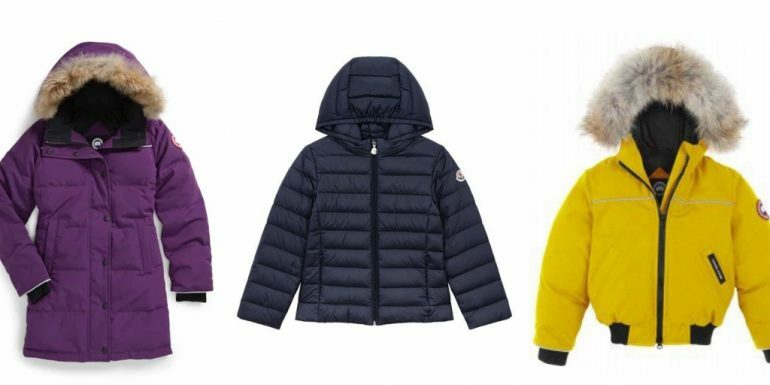 The decision by the head teacher of Woodchurch school in Merseyside to ban Canada Goose, Pyrenex and Moncler jackets for school children has been met with mixed reviews. Some believe that preventing the wearing of these jackets, that can cost up to £1,000, will reduce poverty shaming. It has been said that children whose parents are unable to afford these jackets are feeling left out in the cold, inadequate and marginalised. For most, dare we say, ‘normal income’ families with 2 school-age children, these jackets would not be affordable. Most of the population can’t afford to go out on an autumn weekend and ‘splash’ the cash on these warm and trendy coats. So, is wearing a certain label to school actually poverty shaming those who are unable to afford the jacket (which is most of us)? It could also be argued that the child who is lucky enough to own the jacket is now being discriminated against for having affluent parents. They could become labelled a ‘rich toff’ or worse. The school approach could be considered a knee-jerk response: yet another flight into schematic and polarised opposites: rich/poor, good/bad, ugly/beautiful, and so on. The trouble with polarised opposites is that the opportunities of the middle ground are lost. The middle ground often offers a solution-focused response – for example, a school uniform jacket (I hear you cringe) could be introduced. Would it work? It wouldn’t – it would still be relatively simple to work out which children were wearing new ‘regulation’ coats and those that had hand-me-down or second-hand coats. The solution is far simpler, cost-effective and lasting: poverty shaming must be actively tackled, beginning in primary school through the mediums of understanding, compassion and tolerance. These key values need little explanation. When these values are present, a child automatically develops a social conscience and a sense of ‘the other’. The child will develop a growing awareness that it may not be appropriate to wear the jacket to school, simply because it makes someone else feel uncomfortable and marginalised. Let’s not be puritanical; it’s absolutely fine to wear an expensive jacket or to drive a high-end car. You shouldn’t be ashamed. What you should feel shame about is when privilege has been wielded or worn in such a way to make someone less fortunate – or indeed more fortunate – feel inferior or uncomfortable. The big message here is not about polarised opposites like affluence or poverty. It is about tackling discrimination through developing a perspective of the ‘other’. In that development of a perspective of the other enters the maxim: ‘There’s a time and a place for everything’.